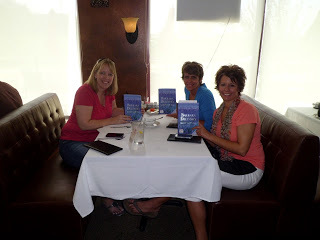 My book club gals and I were lucky enough to win copies of SWEET SALT AIR thanks to Reading Group Guides. This book will be available from your favorite book seller on June 18, and would make an excellent summer beach read. We read it during the month of April and had an excellent discussion around the book. Even though the book was predictable and a bit “soap operaish” we all still liked it. The story of Nicole and Charlotte and their two separate secrets draw you in but what kept me turning the pages was the rich details around the food, the herbs, and the scenery. I’ve never liked clam chowder, but after reading this book I feel like I could eat bowls of it. This is why I am a fan of Barbara Delinsky. Her writing hits at those deep emotions that the reader can relate to. MS (multiple sclerosis) makes an appearance in this novel and unfortunately my own family has been touched by this disease as well as many others that I know. I found Delinsky’s research in this area and the direction she took this disease in the novel fascinating. I did wonder though, why she didn’t incorporate the healing of medicinal herbs (that were such a main focus in the novel) into the healing of MS. But at 400+ pages, I suppose something had to be left out. I certainly enjoyed reading about the healing power of different flowers and herbs either through their scent alone or through their use in recipes. With Nicole being a food blogger, I found myself nodding my head while she was up late blogging, or finding that her blogging was truly her therapy. I find that to be true myself. I think it was a neat way to bring Charlotte and Nicole together after all these years – in the creation of her cookbook. With both of them being writers in very different ways, they were still able to use their talents together to create the cookbook. I found myself salivating over the food and wanting the recipes. Maybe Delinsky needs to publish a Sweet Salt Air cookbook full of the food described in the book. All three of us really liked the cover of the book and the title. We felt like we could feel the breeze and smell the air while reading it. Delinsky’s descriptions of the area, the people and the homes on the island made all of us want to visit. Overall, this book is full of emotion, triumphs, tragedies, love and friendship. All are excellent qualities in a good summer read and one that should be read with your girlfriends. Warning: Reading it will make you hungry for Clam Chowder! 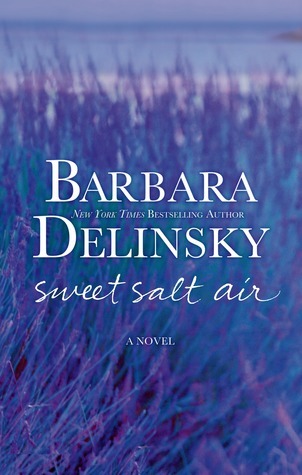 Barbara Delinsky has written twenty NY Times bestselling novels with over thirty million copies in print. Her books are highly emotional, character-driven studies of marriage, parenthood, sibling rivalry, and friendship. 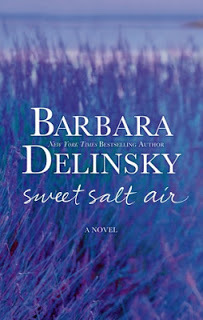 Barbara’s newest novel, SWEET SALT AIR, is a June 18, 2013 St. Martin’s Press release. Her first foray into non-fiction occurred in October 2001 with the publication of UPLIFT: SECRETS FROM THE SISTERHOOD OF BREAST CANCER SURVIVORS. UPLIFT is a handbook of practical tips and upbeat anecdotes that she compiled with the help of 350 breast cancer survivors, their families and friends. 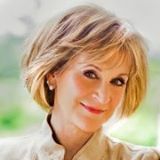 A breast cancer survivor herself, Barbara has donated the entirety of her author proceeds from three editions of UPLIFT to fund the first six years of a fellowship at Massachusetts General Hospital that will train a surgical oncologist in research. A new Tenth Anniversary Edition of UPLIFT went on sale September 27, 2011. Barbara lives with her family in New England. Thanks to Reading Group Guides for sending us copies of SWEET SALT AIR. This review is my honest opinion. Neither I nor our book club was compensated in any other way for this review.